Title [Samuel Meisenberg funeral, Meisenberg family in room with American flags] [graphic]. 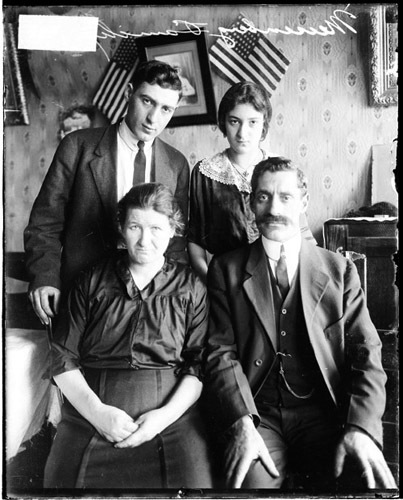 Collection summary Informal half-length portrait of Mr. and Mrs. Meisenberg sitting, their son and daughter standing behind them, with two American flags hanging on a wall in the background in Chicago, Illinois. Mr. and Mrs. Meisenberg's son, Samuel, was a United States Marine who was killed in the American capture of Vera Cruz, Mexico. Samuel Meisenberg funeral, Chicago, Ill., 1914.